Wow...the holidays! I will say, I haven't weighed myself in literally, 30 days. Since we have last talked I moved. Which has completely thrown me out of my routine. But I am aware of this and a few weeks ago decided to create a challenge on www.myfitnesspal.com (This website is a godsend). Its a 40lb challenge starting January 1st and ending on June 1st. I figured I would start the challenge and have a good 20 people. Boy was I wrong! I have approximately 120 people doing this with me! Which is crazy, but so exciting that 100 other women are ready to start 2011 off right! I feel like this is a challenge that I absolutely have to complete. Not only am I doing this for me...I am doing this for over 100 other people who are counting on me to be motivating. I know this may not be how any of the participants think...but I feel this way because its one thing to let myself down; however, I WILL NOT let 100 other people down! This 40lbs will put my 20lbs shy of my goal. Now I will say this is 2 months later than I wanted to be at this goal...but I will be just as elated to bring in the summer with a foxy body! I ordered Zumba, and plan on doing that at night and 30 day shred in the morning! This is serious now! And for every 10lbs I will be rewarding myself..why? Because I freaking deserve it! This is not going to be a cake walk and I plan on documenting every day of it...so that way others can know that it may not be easy...but it is going to be SO worth it at the end! I am ready to take this on...full speed ahead, with an AMAZING team of women that are ready to do this also! 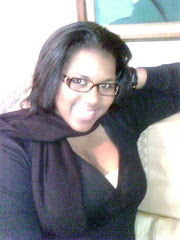 January 1, 2011...is the beginning of the journey to become the same Krystle on the outside, that I know on the inside! Thanks for setting this challenge up! I'll be with you and am hoping that it will keep me motivated too! Thank you so much for all of this. Not only are you taking on the challenge of losing the weight for yourself, but you're supporting all of us. I can't even tell you how much I appreciate this!